Dr. Jerome Mafeni as the Organization’s Chief Executive Officer. He is a Health Professional with specialization in Peadiatric Dentistry and a strong background in Public Health. Prior to Joining ACHAP he held a dual position with RTI International in Nigeria; serving as the Senior Technical Advisor and the Nigeria Country Director for the Global Health Group. Dr Mafeni brings with him decades of experience in complex project development and project management in developing countries. His background includes program design, monitoring and evaluation strategies, policy analysis, strategic planning, information communication technologies, economic management, and research. His past career portfolio include being Executive Director of the “Achieving Health Nigeria Initiative” - AHNi (the country affiliate of FHI360) while serving simultaneously as the Director of Health Policy and Systems Management in the FHI360 Nigeria Country Office. In June 2006 he was elected to Chair the Country Coordinating Mechanism of the Global Fund for HIV/AIDS, Tuberculosis and Malaria (GFATM), where under his leadership major grants in excess of US$250 million were restored back to Nigeria. He led Nigeria in developing a US$1.8 billion proposal for the Global Fund Round 8 version for all three diseases, Malaria, TB and HIV/AIDS, which resulted in the approval of over $800 million for five years to address Health Systems Strengthening and massive scale-up of malaria programs to reach the entire population. This is the highest amount approved for any country by the GFATM. Dr. Mafeni also worked as the Country Director for the Futures Group in Nigeria from 2000-2009, where he headed the POLICY and ENHANSE Projects that provided the bulk of USAID funded technical assistance for all policies, plans, and legislations that were developed in Health and related areas during the period. He also had a two-year stint from 1998 with the WHO Inter-Country Centre for Oral Health for Africa (ICOH) as Assistant Director for Research and Administration, a post that was reserved for him in perpetuity for his contributions to the growth of the Centre. In his role as the CEO of ACHAP he will be responsible for overseeing the Organization’s transition to its next phase of Program implementation and growing the Organization’s footprint in Southern and Eastern Africa. Dr. Frank Mwangemi is ACHAP’s Executive Officer Programs. He is a public health specialist with more than 20 years of experience in medical practice and 15 years’ experience in management/ oversight and provision of technical assistance in public health programs in the areas of program design, planning and implementation of HIV prevention treatment and care including public –private partnerships in HIV/AIDS care and treatment, Malaria treatment and control, TB and TB/HIV collaborative and integrated services, Sexual and reproductive health, maternal, neonatal and child health. Has a vast experience in program integration having played a key role in integration of HIV/AIDS and reproductive health and HIV/ Non-communicable diseases in Kenya, he is currently a member of the WHO technical working group for integrating HIV with other chronic diseases. Mr Busang has been with ACHAP since 2003. Mr Busang has been instrumental in a number of evaluation studies conducted by ACHAP and the Government as well as development of manuscripts published in peer review journals. Prior to joining ACHAP, Mr Busang has worked for the Botswana Harvard Partnership for HIV/AIDS Research and Education (BHP) as a trainee data manager where he had the opportunity to analyse the National ART for the first 300 pilot patients as part of his Master Degree Research Project. He has also worked for the Central Statistics Office (CSO) in the Demography Unit and before being transferred to the Census Office as part of the nucleus staff for the 2001 Population and Housing Census. He developed the 2001 Census Enumerators Manual, and the Tabulation Plan. He holds both a Master’s and Bachelor’s degree in Statistics from the University of Botswana and currently pursuing PHD in Statistics. He has over 20 year’s technical experience in the field of Statistics, Research, Monitoring and Evaluation. He has provided leadership of teams in these areas throughout his entire working life. 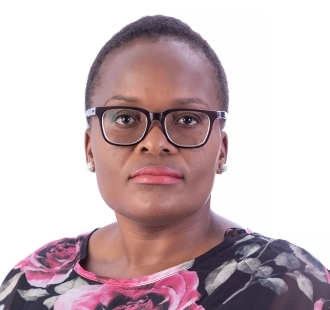 Dr Seipone is a medical doctor and Public Health Specialist having acquired a Doctor of Medicine, Masters of Public Health and Bachelor’s Degree in Biology and is well recognized for her leadership in Health especially in HIV/ AIDS response in Botswana. She is the founding Director of Department of HIV/AIDS Prevention and leaves the Ministry after 20 years of service as a Deputy Permanent Secretary and the Director of Health Services whose role was to ensure quality of health services through the development and implementation of health care policies, standards and regulation of health services within government and private sector. Ms. Thato Pelaelo has over 8 years’ experience in both the private sector and NGOs. Her experience covers Accounting, Auditing and USG Grants Management Administration. Prior to her appointment at ACHAP, she worked as the Finance and Assets Manager with Tebelopele Voluntary Counselling & Testing Centres. Her portfolio included amongst others grants management and administration, developing and implementing the financial management and procurement systems of Tebelopele. Ms. Pelaelo was also responsible for providing strategic financial direction for the organization’s investments to ensure growth and viability. 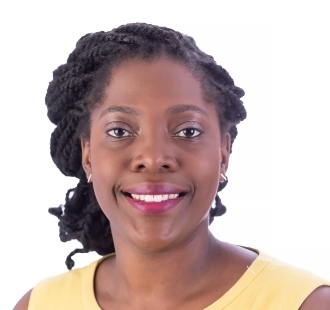 Ms. Pelaelo is a Chartered Accountant having served her articles with Price Waterhouse Coppers; she also holds a Bachelor degree in Accounting with the University of Botswana. She has attended the following courses; USAID Rules and Regulations; Grants and Cooperative Agreements, Financial Management for US Government Funding and Grants Management for Grantees. Rachel Jackson is the Assistant Director Business Development at ACHAP. Rachel lead's ACHAP's Business Development/ Expansion Strategy which includes grant, consultancy and training/capacity building projects in the health and development space with a focus on Southern Africa. In her previous role at ACHAP, she was responsible for developing and managing programmatic contracts and grants. During her time at ACHAP she has led the development and launch of performance based contracts and payment mechanisms, including the launch of a mobile payment method for mobilizers. Prior to joining ACHAP, she worked with the HIV Team at Bill & Melinda Gates Foundation. She coordinated grant processes for HIV related projects, working closely with the Gates Foundation’s India and China offices and was instrumental in the management of consortium grants for the Avahan project. She holds a Bachelor of Arts in Communication Studies from Seattle University, and an MBA from the University of Cape Town. Mr. Blessed Monyatsi is a Social Development, Health and Administration expert with special skills in development and management of health programs and more than 15 years of continued work on HIV/AIDS and TB. Blessed has very strong skills in strategic planning, monitoring and evaluation of large health programmes and capacity building. Blessed has worked extensively on HIV/AIDS, TB and social development providing technical support to national level programmes as well as support for community level programming. Mr Monyatsi holds a Bachelors degree in Social Work, and MA degrees in Business Administration and Development Studies. Mr. Williams has over 20 years experience in health programming, socio-economics and research. His work cuts across the commercial private sector that includes community based research and private sector consulting for government, the United Nations, EU supported projects and non-governmental organisations. 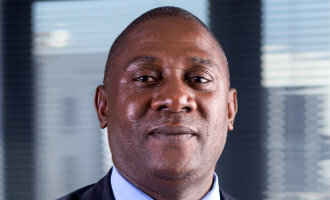 Williams commenced his career in 1993 that led to the development of Botswana’s first social marketing programme (BSMP). The BSMP under his guidance gave birth to several long standing preventative health programmes which resulted in the creation of health commodities and services specifically designed to resonate with the Botswana market. These products and services include Voluntary Counselling and Testing services, the promotion of Prevention of Mother to Child Transmission programmes, and generic HIV prevention programmes for youth. A major aim behind all his health programming has been to achieve a reduced dependency of these programmes on external funding and improved cost recovery. He has experience and exposure from the east and southern Africa region. 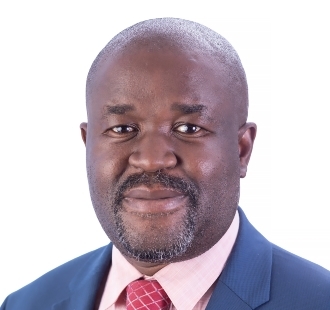 He has both consulting and programme work experience from Namibia, Malawi, Mozambique, Uganda, Tanzania, Kenya, Zimbabwe and Zambia where he spent five consecutive years as a private consultant. Williams now heads ACHAPs newly founded Consultancy Unit. The unit was created with a vision to be an internal revenue generating engine that uses, among others, ACHAPs rich internal intellectual capital base as an income generating source. Williams holds a Bachelor of Arts Degree (Economics) from the University of Botswana (1995) and the Masters Degree of MBA (Health, Population & Nutrition) in developing countries from the Centre for Health, Planning and Management; Staffordshire, England (2006). Makgabana- Dintwa has 15 years work experience in the HIV/AIDS field; 5 of which were in HIV clinical trials BHP; 7 years in the mining sector (Debswana) and later US funded projects focused on project management, capacity building and research. Makgabana has solid background in communication for behavioural impact through her health education and promotion, Psychology and Public Health background. She has grown up the ranks from a Counsellor/Health Educator at Botswana Harvard Partnership to a HIV/AIDS Prevention Education Officer at Debswana, later to join Peace Corps as Program Manager coordinating capacity building initiatives with District AIDS Coordinators offices through-out Botswana. 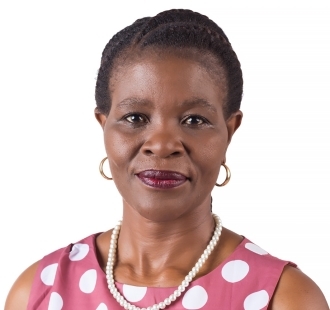 Makgabana-Dintwa then joined University of Botswana (Faculty of Medicine) were she coordinated and facilitated Health Systems Research and ethics training, conducted and supported research projects within the Faculty and did consultancy work. Makgabana-Dintwa strengths are project management and coordination; training and capacity building, conducting research especially qualitative research. Mrs. Elizabeth Moshi is a Trainer, behaviour change, gender and HIV prevention expert. She has over 29 years’ experience in HIV/AIDS, behavior change communication, community engagement, capacity building and training. Elizabeth has hands-on experience in implementing community capacity enhancement and HIV programming in Botswana, and similar interventions in East and Southern Africa. She holds a Bachelor’s degree in Education, Adult Education and a Master of Arts degree in Development Studies specializing in Women and Development. Her education includes several short courses on behaviour change communication. Dr. Boga Fidzani is a Demographer with a strong background in Statistics and Social Research. He has over 25 years of experience in Monitoring and Evaluation systems development, implementation and capacity building. He also played a leading role in conducting the second and third Botswana AIDS Impact Surveys (BAIS II and III). 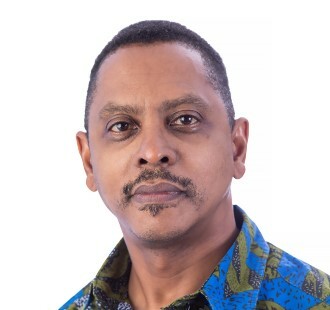 He has led development of M&E Frameworks and Plans for measuring effectiveness of Botswana’s national response to HIV and AIDS as well as coordinating reporting to high level policy-making structures including the National AIDS Council, UNAIDS, The World Bank, SADC Secretariat and The Global Fund. He sat on the global Monitoring and Evaluation Reference Group (MERG) for two years and during that time was a member of the Evaluations Technical Working Group (TWG). 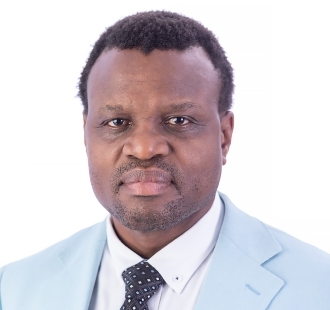 Dr. Fidzani has worked with Civil Society organizations (CSOs) in the SADC region, especially in capacity building around governance, financial management, M&E and general program management. He is also credited with spearheading the establishment of Botswana’s first national M&E training curriculum, which has been hosted by Institute of Development Management (IDM) since 2006. 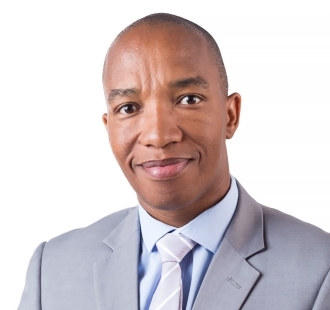 In recent years he has been actively involved in providing M&E and research services across the SADC region to clients including The World Bank, Aquity Innovations (formerly URC South Africa), JICA and Botswana’s Human Resources Development Council (HRDC). He is currently serving as ACHAP’s Project Lead for TB in the Mining Sector in Southern Africa (TIMS) Project, which is being implemented in 10 SADC countries. .